Since July 2005, the talented authors, staff and friends of Oxford University Press provide daily commentary on nearly every subject under the sun, from philosophy to literature to economics. 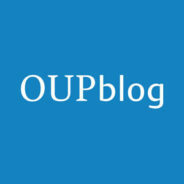 OUPblog is a source like no other on the blogosphere for learning, understanding and reflection, providing academic insights for the thinking world. OUP is constantly publishing new and exciting research spanning all kingdoms of life. We continually strive to bring you, the OUPblog readers, the most relevant and interesting content to support and expand your knowledge of the life science realm. One way we do this is by posting accessible, listicle-style blog posts to accompany prolific nature documentaries, such as those narrated by the eminent Sir David Attenborough. Did that moving episode of Blue Planet II pique your interest? Or are you excited to discover the secrets of animal families in Dynasties? Delve deeper into key themes raised in these programmes by exploring our existing blog series below, and be sure to check back for more content relating to popular documentaries in future. Sir David Attenborough will shortly be returning to our screens narrating a new nature documentary: Dynasties. Over the course of five weeks, this series will follow individual animals – chimpanzees, emperor penguins, lions, painted wolves, and tigers – as they protect and lead their respective social units. To accompany each episode, we will be publishing a blog post about each species featured in the show, focusing on their interactions with other members of their species. Be sure to check back after every episode to keep up-to-date with our blog series! One of our closest relatives in the animal kingdom, chimpanzees are known to exhibit some very human traits in the wild. For the first blog in the series, we’ll be delving into the social dynamics of chimpanzee ‘communities’, examining how they are structured and how they interact with rival communities. Of the seventeen species of penguin in existence, the emperor penguin is arguably the most well-known and heavily documented. In the second blog post of the series, we’ll be exploring how emperor penguins and their flippered relatives interact with each other to build their respective dynasties in the chilly Antarctic. Lions and lionesses alike exercise their prowess to protect their pride, causing them to be considered one of the most respected and feared creature of the animal world. To accompany the third episode of the documentary, we’ll be sharing some facts about the social interactions of these fierce beasts of the savanna. Tasked with cooperating as a pack to survive, painted wolves – also known as ‘African wild dogs’– are unusual in the animal kingdom due to their cooperative social system. In the penultimate post of our blog series, we’ll be examining the social dynamics of a painted wolf pack. Tasked with closing Dynasties, tigers are very unlike any of the other species featured throughout the series, preferring to live alone rather than cooperate in large social groups. Find out more about this solitary big cat through our selection of facts about how tigers behave and interact with others. Blue Planet returned to our television screens in 2017 as Blue Planet II, 16 years after the first series aired to great critical acclaim. The series, fronted by Sir David Attenborough, focuses on life beneath the waves, using state-of-the-art technology to bring us closer than ever before to the creatures who call the ocean depths their home. Over the course of seven weeks, we shared a selection of facts relating to each episode of the series, with posts published across the OUPblog and our Tumblr page. Explore each week’s collection of facts about our oceans by following the links below. The series begins with an overview of our oceans – no small feat considering the ocean covers over 70% of our planet’s surface. Covering a wide range of facts about our wild and wonderful oceans, as well as some research touching on the themes of future episodes, read this introductory blog to whet your appetite for the rest of the series. The second episode of Blue Planet II takes us to the deepest, darkest depths of the ocean floor, where crushing pressure, brutal cold, and pitch-black darkness make this one of the most extreme environments on our planet. To accompany this episode, discover alien worlds, volatile landscapes, and a host of bizarre creatures that call this almost-inhospitable environment their home. Coral reefs are home to a quarter of all marine species, so it is fitting that they are the focus of Blue Planet II’s third episode. Exploring the vast array of different marine life that live here – from green turtles and bottlenose dolphins, to manta rays, octopuses, and parrotfish – this episode demonstrates how these different creatures have adapted to survive in these underwater mega-cities. Episode four of Blue Planet II takes us into the open ocean. An isolating environment far from shore, the Big Blue presents unique challenges for the creatures who call it home including increased competition for mates and food. Learn more about the open ocean and the impact of human activities on it in this post. In the fifth episode of Blue Planet II, we are introduced to our ‘Green Seas’ – vast forests of kelp, blooms of algae, and large expanses of sea grass – where an array of creatures battle fierce competition with one another, adapting in order to survive. The penultimate episode in our Blue Planet II series takes us to the coast, where land and sea collide. In this episode, we meet creatures who alternate between these two very different domains, and learn how they adapt to survive in this ever-changing environment. What are some of the most notable aspects of this bridge between two worlds? The final post in the series looks to the future and asks, “What will our oceans look like five, ten, twenty years from now?”, examining the ongoing issues of marine pollution, climate change, and other human activity that impacts our oceans. This momentous episode highlights the issue of plastic pollution, driving a nation to pledge to cut down on the use of plastic. Featured image: Landscape Coast Shore by Free-Photos. CC0 via Pixabay.